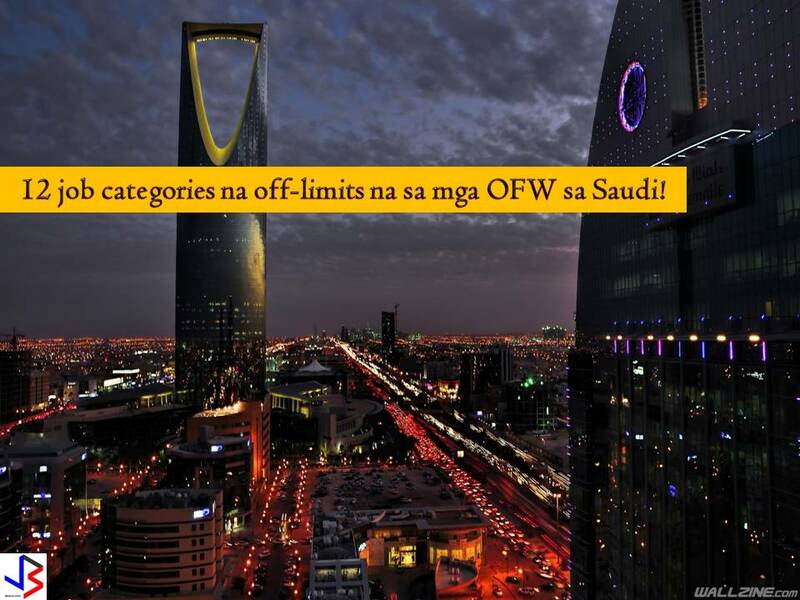 No doubt, Saudi Arabia is still one of the top destinations for Overseas Filipino Workers (OFWs). But with the implementation of Saudization, the "world" of OFWs and other expatriates in Saudi Arabia is getting smaller. The push to nationalize several job sectors started in 2011 and in ongoing up to now. The oil-rich kingdom is slowly limiting jobs to foreign workers, giving priorities to locals to boost employment of Saudis. 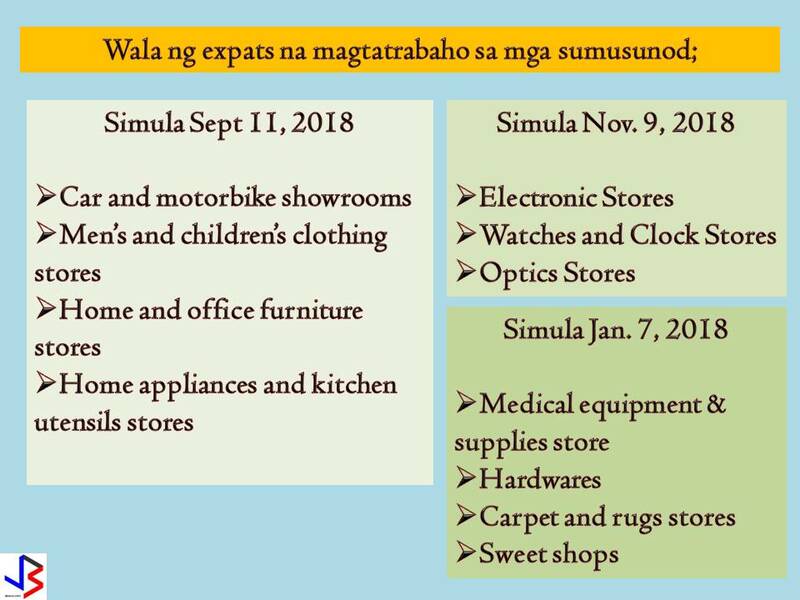 These include jobs that used to be available for OFWs and other expats. According to ministry spokesman Khaled Aba Al Khail, starting September 11, 2018, no expats will be allowed to work in car and motorbike shops, men's and children's wear, home and office furniture, and home utensils. Saudization started in 2011 as part of the Kingdom's initiative to encourage Saudi nationals to work in the private sector.